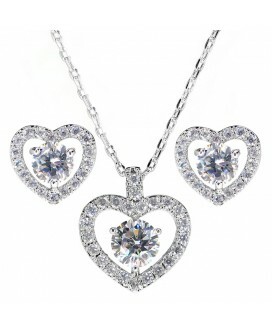 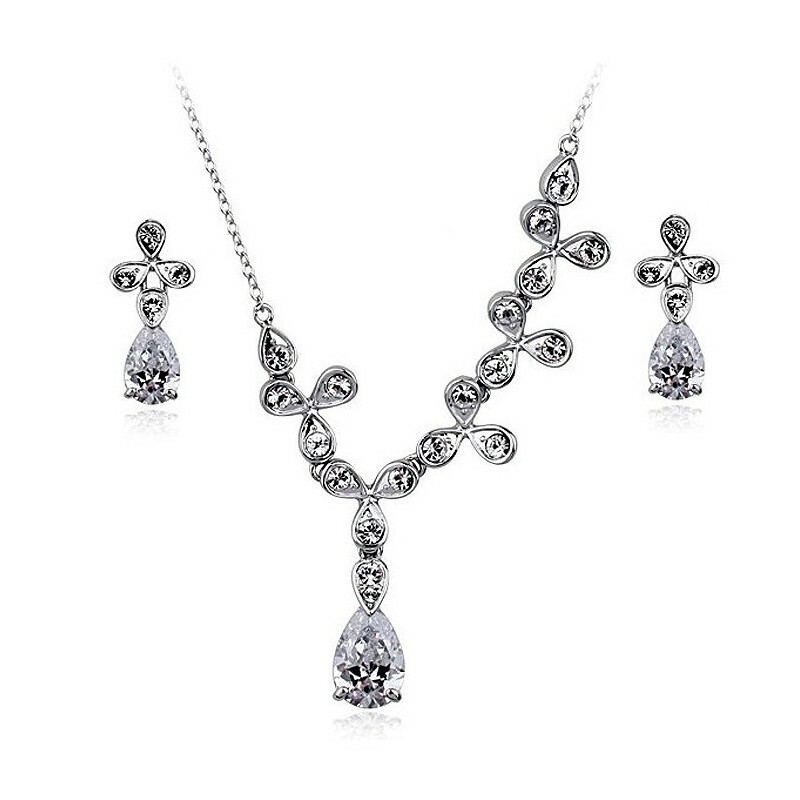 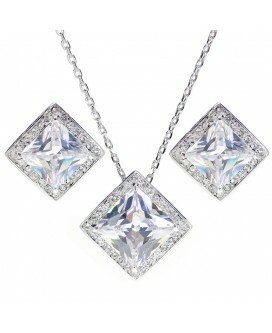 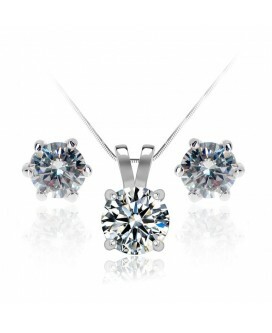 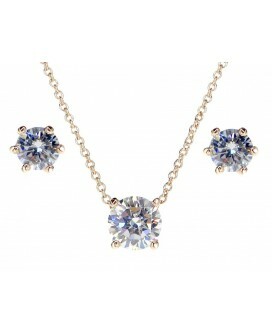 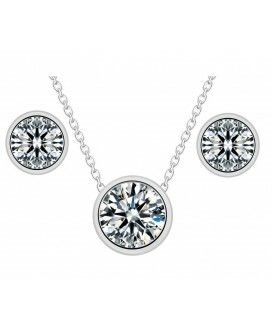 This necklace and earring set could be your very own lucky charm. 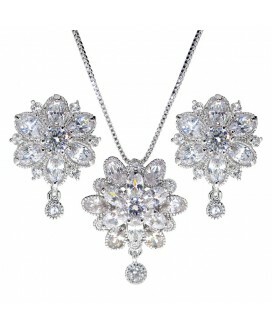 The white gold plated pieces are designed as a series of entwined clovers with leaves adorned in sparkling round stones. 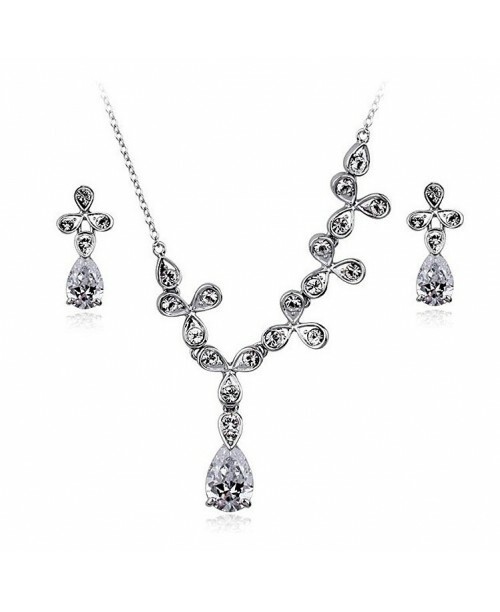 Featuring multiple top quality AAA+ cubic zirconia stones with perfect cutting, pure colour, high clarity, and is multifaceted with maximum brilliance and shine. 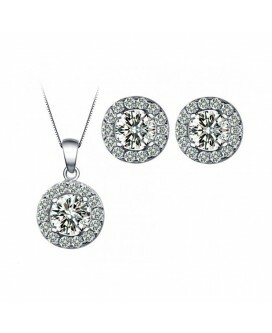 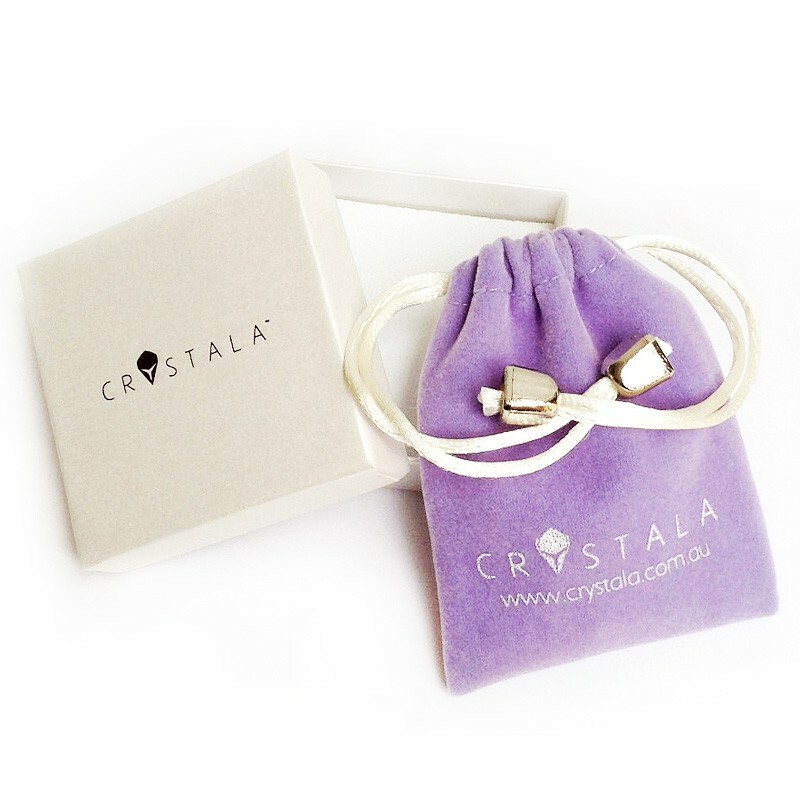 A button style pair of sparkling studs complete with a matching pendant necklace.These classic studs have a modern twist featuring a solid white gold plated frame. 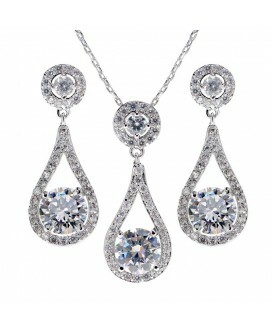 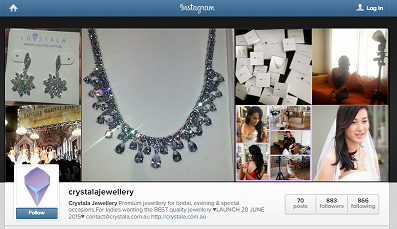 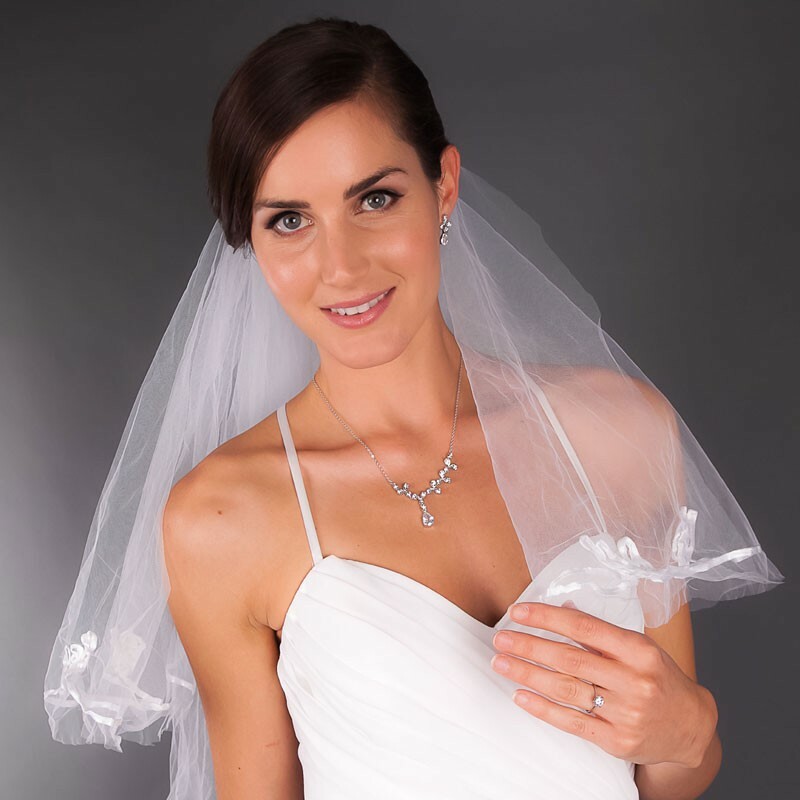 Featuring a large 2 carat, 8mm diameter cubic zirconia stone, surrounded by a water drop shaped pendant paved with 27 inlaid 1.5mm stones.The 'Elixir of Life' pendant sways ever so gently while attached to the bottom of a halo rimmed pendant; featuring 12 more inlaid 1.5mm crystals surrounding a 3.5mm crystal centre. 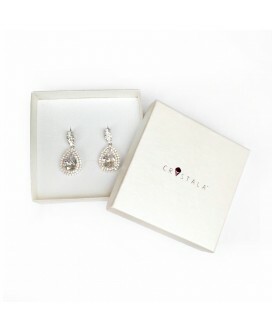 The 'Hearts & Arrows' cut is known to be of excellent cut quality, with maximum shine, and you can even see the hearts and arrows through a specialised magnifying glass!An equally amazing pair of stud earrings featuring a classic brilliant-cut stone held together by six prongs, completes the look of pure glamour.